The anthology, Violent Reverberations: Global Modalities of Trauma, features leading anthropologists engaging in critical conversations with colleagues involved in neuroscience, social medicine, public health, transcultural psychiatry, affect theory, and peace, conflict, and violence studies. The idea for a comparative book was born out of a research project, led by Broch-Due and funded by the Research Council of Norway, that focused on the effects on sociality, memory, and emotions of endemic violence in pastoral communities in unruly Northern Kenya. Trauma, Broch-Due and Bertelsen write in the opening chapter of the anthology, has since Antiquity morphed from referring to a physical wound to also describing a 'wounded soul' – a concept that includes both the person affected and potential witnesses. Conventional trauma studies have increasingly been trapped in ahistoric, individualistic, and universalising diagnoses that seek to deliver the same therapy regime worldwide, the editors argue. 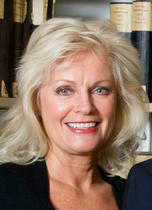 In response, their book delivers a counterargument to the dominant trauma discourse. The subsequent chapters examine the social, political, and personal factors that shape experiences of trauma, focusing on descendants of Holocaust survivors, communities ravaged by political violence in Latin America and Mozambique, and austerity-era Greece, among other cases. Broch-Due’s own chapter of the anthology, entitled 'Trauma, Violence, Memory: Reflections on the Bodily, the Self, the Sign, and the Social,' explores the genealogy of trauma theory in Western society, tracing its development from Antiquity, through the battlefields of the 20th century, and into present-day East Africa, where 'slow violence' produces specific forms of marginalization and distress. This complex ethno-historical terrain serves as a backdrop for exploring a range of theories that have been brought to bear on the complexity of trauma, Broch-Due writes. These range from Foucauldian and psychoanalytic approaches focusing on meaning and practice to more nondiscursive analyses coming out of neuroscience, embodiment, affect and liminality. 'Behind all the shifts in definitions and interventions we can see the contours of something that seems to be at the core of all trauma discourses, a constant feature behind the endlessly transforming face of trauma: it brings a whole emotional and moral universe into play,' Broch-Due writes. 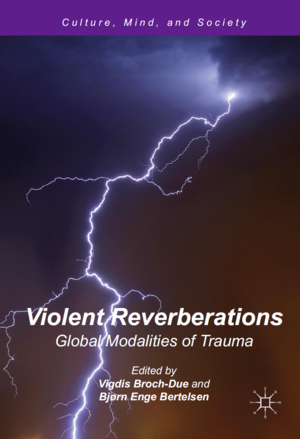 Violent Reverberations: Global Modalities of Trauma, published by Palgrave Macmillan, is available now.